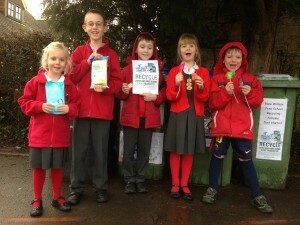 Sussex Green Living and the William Penn Primary School are taking part in a nationwide recycling competition called the Febreze Freshness Rewards Contest and is asking local people to help them be in with a chance of winning a share of £5,000 of charity donations (including a £1,000 top prize). This contest is part of a new recycling initiative that Sussex Green Living has signed up to called the Air and Home Care Brigade which enables local people to recycle used plastic air fresheners and plug-in refills, air and home care product trigger heads, pumps and caps and flexible home cleaning wipe packs of any brand for the first time. None of these materials can be recycled by local council collections and so would otherwise end up in landfill. 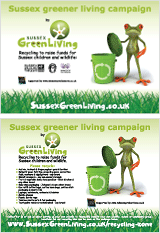 Sussex Green Living also earns £0.02 for each piece of air and home care waste they send in for recycling. All the money raised goes to William Penn School with £486.69 having been raised so far. The support of the wider Sussex community can really help boost the amount of air and home care waste Sussex Green Living saves from landfill, our chances of becoming a winner on the Febreze Freshness Rewards Contest and the amount of money we raise for William Penn Primary School. 2. The Quaker Friends Meeting House in Worthing Road in Horsham where they have a 24/7 public collection point. Further information on the drop off locations and all the types of waste that can be recycled can be found at http://www.sussexgreenliving.co.uk/recycling-zone/recycling-for-charity/. 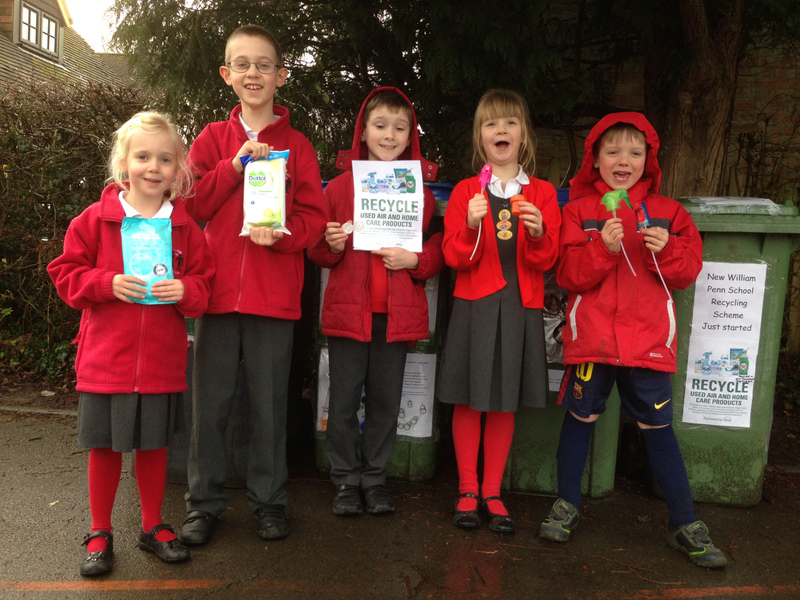 This entry was posted in Eco School William Penn, Green stats, facts & news, Recycling facts. Bookmark the permalink.